Tuesday morning, Wonderland magazine released their beautiful cover of a Taylor Swift looking more high fashion than ever before, complete with darker brown hair and fuller eyebrows á la Cara Delevingne. In other words, really hot. Along with some other new photos for the shoot, some details of her interview with the U.K. based magazine have gotten out, and they catch up with a more mature Swift, who talks openly about her love life, the messages in all her lyrics and, of course, the haters. 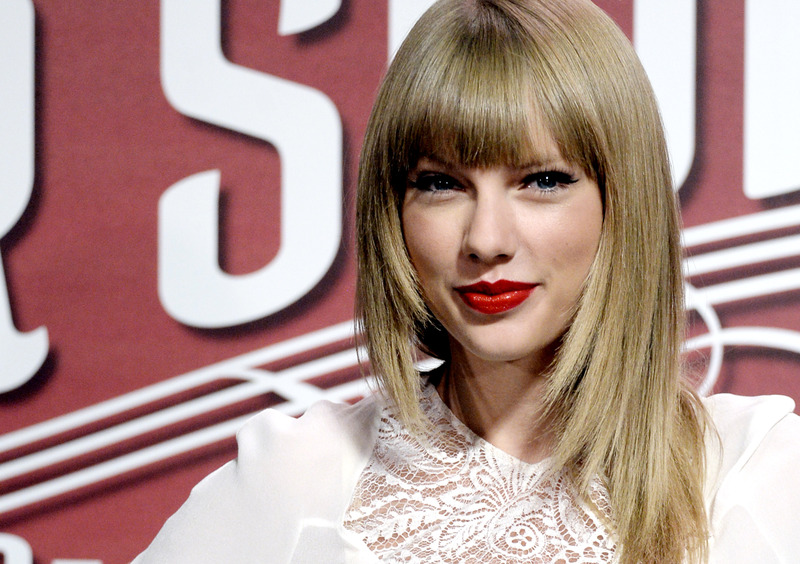 Taylor Swift talked about Twitter's dark side and how it relates to her hit "Shake It Off." Twitter’s dark underbelly is that it gives people a veil of anonymity: they can have a terrible day at work, feel awful about themselves, come home and get drunk and go call someone ugly on Instagram. If people don’t have anyone to talk to about [their problems], they go online and just say wicked, gross, cruel mean-spirited things about people. I wrote "Shake It Off" for my own situation, but also for the situation that everyone finds themselves in now. It’s not a celebrity issue, it’s a people issue. This statement holds very true on the anonymity of people on social media. Swift is almost the opposite of people like Azealia Banks, who put all of their dirty laundry and opinions out there on Twitter, while Swift very rarely can be found saying anything controversial or being involved in anything mean-hearted on social media. The only instance I could immediately find was when Miley Cyrus retweeted a photo of her and Swift with a questionable caption about Swift's love life, which never really amounted to a big feud or anything. In fact, she is almost overwhelmingly supportive to her fellow artists and fans. In September of this year, Swift left an inspiring (and tear-inducing) note to a fan who left a comment about her bullies on her Instagram and she did this all without any pretense or attention-seeking. This is not the first time that Swift has written about bullies, whether online or in real life situations. In Taylor's words, "Mean" from her third studio album, Speak Now, is about the thin line between the types of criticism she receives being someone in the spotlight. She says, "There is constructive criticism. There’s professional criticism. And then, there’s just being mean." She's not immune to this sort of behavior and it seems that although it has been happening since the last few years of her career, she still has not let it taint her. But as Swift said in her beautiful Instagram post to her young fan, "Let them keep living in the darkness and we’ll keep walking in the sunlight." Well said, Taylor.